1.1 Where can I apply to carry PUMP! in my retail store / boutique? Thank you for your interest in PUMP! We gladly accept all potential applications for Wholesale Partners. If your address was input incorrectly and/or there is missing an apartment number, you must contact us at service@pumpunderwear.com immediately. If your order is missing your apartment and/or suite number, we recommend leaving a note at your mailbox or front desk for the mail courier to bring the package to your correct apartment. If your order has an completely incorrect address, please contact us at service@pumpunderwear.com for further information. 1.3 Does PUMP! ship to my country? PUMP! Underwear ships to every country except those of which are not sanctioned by the government and postal system. 1.4 Where can I buy PUMP! in stores? PUMP! is available to purchase online and in select boutiques. Find out which retailers carry PUMP! near you on our store locator page. 1.5 My order has not arrived? If you do not have a tracking number, and your order has surpassed the shipping timeframe, please contact PUMP! support. For more information on your orders timeframe, you may visit our shipment method help page. 1.6 Where can I find a PUMP! catalog? PUMP! prints yearly photo booklets which act as a catalogue. Although we print many, they seem to go pretty quick and may not always be available at all times of the year. These are included sometimes in random orders, given to coordinated events, at sometimes shipped upon special request. We also have a PUMP! Calendar which compliments the photo booklets. The calendar is usually a special gift with purchase that we do around the holidays and are only available then. For information about photo booklets and calendars, exclusive offers and updates, subscribe to our newsletter. 1.7 How do I qualify for free shipping in the U.K and Europe? In order to qualify for free shipping within the U.K and Europe, the contents of your basket must be equal to or greater than $50 USD after discounts and before VAT. Discounts includes PUMP! Dollars, Discount Codes and Customer Credits. Gift cards that were purchased are not considered discounts. All orders that qualify for free shipping within the U.K and Europe are sent out via Royal Mail Air Mail which is not a trackable service. Parcels will be delivered approximately 3-10 business days for the U.K and approximately 6-18 business days for the rest of Europe. 1.8 How do I qualify for free shipping in the U.S? In order to qualify for free shipping within the U.S, the contents of your basket must be equal to or greater than $50 USD before discounts. Discounts includes PUMP! Dollars, Discount Codes, Gift Cards and Customer Credits. All orders that qualify for free shipping within the U.S are sent out via Canada/USPS Small Packet Air which is not a trackable service. Please expect approximately 6-18 business days for your parcel to be delivered. 1.9 How do I qualify for free shipping in Canada? In order to qualify for free shipping within Canada, the contents of your basket must be equal to or greater than $50 CAD before taxes and discounts. Discounts includes PUMP! Dollars, Discount Codes and Customer Credits. Gift cards that you purchase do not count as a discount. All orders that qualify for free shipping within Canada are sent out via Canada Post Expedited Parcel which is a trackable service and arrives in 1-2 days in Ontario and Quebec. 1.10 Why is my tracking number not working? Tracking numbers are only included in Expedited, XpressPost and Priority Express Delivery shipping methods. If you have chosen our Standard, Flat-Rate, Small Packets or Free shipping methods, you will not have tracking options. Do note that your e-mail confirmation does show a tracking number even for non-trackable methods which is cause for most confusion, however this is an internal-use only code solely for Canada Post's own internal usage and will not work if you enter it on their website for tracking. 1.11 Where can I apply to carry PUMP! in my retail store / boutique? 1.12 How long will it take to receive an order shipping via Expedited Parcel? Expedited Parcel is the free shipping option offered to shopping carts over 50$ CAD. This method of shipment DOES generate a tracking number. This method of shipment is also available to the US, Australia, New Zealand, China and Japan (however it is not free). We recommend PUMP! Express shipping if you need a faster and more cost efficient method of shipping. 1.13 How long will it take to receive an order shipping via Small Packets Air? Small Packets Air is the free shipping option offered on shopping carts over $50 USD shipping to the United States, Australia, New Zealand, China and Japan. This method of shipment does NOT have a tracking number option. 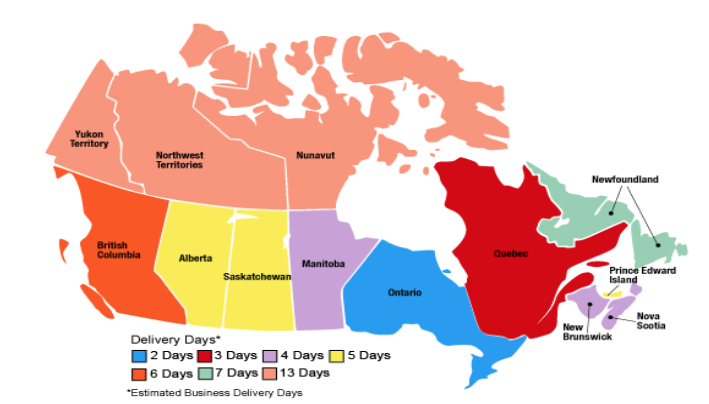 Delivery estimates differ slightly from one region to another, but generally speaking, orders can take anywhere between 5 to 12 days to deliver (although it can take up to 30 days in some countries depending on customs clearance and the national post carrier at the destination country, but this is VERY rare). 1.14 Where is my tracking number? If your shipping method has tracking, you can find the number in the shipment notification email that is sent when you order is shipped. You can also login to your account at www.pumpunderwear.com/store > My Account > My Orders. After you select your order from the list choose > Shipments > Track to open a window showing the status and whereabouts of the shipment. 1.15 Which shipping methods have a tracking number? *FedEx, DHL and PUMP! Express are currently not available for European customers. We apologize for problems logging in. We had some issues when password security encryption was upgraded and a new more secure algorithm was used to store password hashes. Once you get the reset email, click the link to set your password. Then please clear your browser cookies and cache so that any old authentication data is not present. It should log you in but if you still can't login after the reset, let us know. As an alternative guaranteed way to access your account, you may also choose Facebook or Twitter login. They authenticate your account so it will work as long as you can access to your social account and as long as the email address you use to access PUMP! is the same as Facebook and/or Twitter. Even if you have not set up social login, you can still use it if the email address matches. 2.2 Why are all your products 'out of stock'? This could be because you logged into a wholesale store when your account is not yet authorized for wholesale or is still pending application. If you choose from the Flag store switcher another store, for example, the US, Canada or any non-wholesale store, you should be able to see products in inventory again. If you are already in the US, Canadian or non-wholesale stores and still see every item out of stock, it is possible we are doing an inventory sync across warehouses and this could display all items out of stock for a few minutes. If after 5 minutes you still see no stock, please contact us. If you ARE a wholesale customer and still see everything out of stock, then the site is detecting cookies from your browser of another user with a login that has recently logged in and is not approved for wholesale. It is also possible the website is detecting cookies from your own session when you were browsing a non-wholesale store with your wholesale account. Having both these user identities causes the site to not recognize your account as wholesale and the store view it is linked to. Clearing your cookies and cache will fix this, then be sure to login with your wholesale account directly in a wholesale store (bypassing the need to switch from another view). Switching to another web browser you haven't used in a while could also solve this issue as the cookies would be stale. If you see this error often and would like additional accounts approved for wholesale, just let us know. That way it would not matter which cookies the site gets the identity permissions from. 2.4 What is a bad gateway error? The 502 Bad Gateway error is an HTTP Status code that means that one of our servers received an invalid response from another server. Usually this happens when the server is under a heavy load and can't complete every request. Trying again usually solves the problem however it is possible that your browser saves the Bad Gateway error into cache memory (as it does most pages to load them faster the next time you visit) so it could be that the page is back and behaving normally but you are seeing a saved (cached) copy instead of the live copy. To fix this, clear you browser cache (or open a private mode tab) and you should start seeing the live version. If you still see the error, please write us at Submit a Request and provide us with as much info as possible so we can solve the issue. Are you logged in or guest? Can you retry after clearing your "cookies" from any pumpunderwear.com (pumpunderwear.eu / pumpunderwear.co.uk) website? 2.5 Why is the website not letting me checkout? Sometimes a decline is decided by the issuing bank (the bank who issued your card) and not by our website. In that case, you would need to call them and ask them to allow the transaction to pass. If the problem is a technical glitch or bug, there could be many reasons that block a successful checkout. Here are some things to try which usually solve the problem. Street Address 1 and Street Address 2 must not be more then 44 characters. Clear your pumpunderwear.com cookies and browser cache (or switch web browsers). If you still have issues clearing these, try to activate private browsing or incognito mode instead. If you still can not checkout, please contact us so we can better diagnose the issue. Send us screenshots of your cart so we can better troubleshoot the issue. 2.6 Why doesn't my Gift Card code work? There are two types of codes that can be used in the Cart Page. The most common reason is the code is being entered in the wrong section. 2) A purchased gift card should go in the Gift Card section/tab. To know which one to use, Promo Gift Cards usually have expiry dates, while Purchased gift cards never expire. Once you enter the code, hit the "Apply/Activate" button to apply your card. If this still does not work, please let us know. PayPal eCheck is a method of payment offered by PayPal. We do not recommend this method of payment because it can take 4-10 days for it clear. During this time we are unable to even accept the transaction and ship because PayPal does not allow us to. Unless you are not in hurry at all for your order, this method should not be used. eChecks are one type of bank payment and usually take 6-8 business days* to process. They are used when buyers have not linked a backup payment source (like a debit or credit card) to their PayPal accounts, or when a transaction is too risky to allow an instant payment. *Note: Bank processing times vary by the buyer's country. 3.2 Which Payment Methods Do You Accept? 4.1 How do I apply a Discount code? To apply a Discount Code or Promo Code, simply follow these steps. When you are done shopping, go to the "Checkout" page and scroll to the Review section. Enter the code in the Coupon Code box and Click on "Apply Code". It's that easy! Oh yah and one thing to remember...if your code is 15 characters in this form XXXXX-XXXXX-XXXXX then it is a Gift Card and NOT a Discount Code. 4.2 What's a discount code, where can I find one and where do I go to apply it to my online order? PUMP! Discount Codes can be found in a few different places. The most common place is on the back of a PUMP! $10 card. We also have discount codes available when we launch new promotional videos. In this case, the code appears while you are watching the video. Lastly, we provide discount codes to some of the events we sponsor. In these cases, promoters or event co-ordinators reveal the code to their audience either on big screens at the events, or verbally. 1-Discount Codes have expiration dates, so be sure to verify when they expire. 2- Discount Codes are always entered at the same place on our website. When proceeding to "Your Cart" page, look for the "Discount Code" box. Click on the "Discount Code" box, enter the code, and then click on "Apply Coupon". It's as easy as that! 4.3 How do I use my PUMP! Dollars? To use your PUMP! dollars, be sure to log into your account before or at checkout. Once done selecting your items, you can spend and apply your PUMP! dollars in two places. Here, you will see the "Spend PUMP! Dollars" at the bottom of the page. You can then select the amount of PUMP! dollars to utilize on your purchase. 4.4 What happened to my PUMP! Dollar Balance? My PUMP! Dollars are missing! No, they are not missing. If you don't see your PUMP! Dollars in your Account Dashboard, do not worry, it is not because they are no longer there. In most cases it is because they were earned in another region where you are not registered. For example, your PUMP! Dollars are on your Dashboard in the USA store but not in the Canadian Store where you created and use your account. You can either switch to the view they were earned, or ask us to do a transfer. 4.5 Why can't I redeem my gift card? If you have a gift card that was purchased (by you or someone you know) then you can redeem the gift card for store credit which then allows you to apply it upon checkout. If you are entering the correct code and still get a message that it is invalid then it could be that your card is linked with another PUMP! Store site. Gift cards depend on the currency in which they were purchased and are linked to the store where they were purchased from. It could be that you are trying to redeem a US gift card in the Canadian store or vice versa. This won't work directly but please contact us so we can quickly re-assign your gift card to the store of your choice. The new gift card will take the currency of the store in which it is re-assigned to however the value will be equal to what was spent on the card and not the current value of the exchanged currency. 5.1 Do you have a size chart? 5.2 What size Am I ? Sizing all depends on how you look to wear your underwear. Some prefer more room, while others prefer more support. We try to find the perfect balance while keeping you looking your best. Here is a general guide/size chart. 5.3 Does PUMP! make garments in XXL? Our current size chart only goes up to XL. 5.4 Will my PUMP! Underwear shrink if washed in hot water and dried in a dryer? Any garment made out of cotton will shrink when washed and/or dried using heat. We strongly recommend washing your PUMP! Underwear in cold water and hang to dry if possible. You can also try a dryer if it has a temperature setting with the temp. set to low. This will ensure that your undies stay looking great! 5.5 Does PUMP! Underwear run smaller than other brands? PUMP! Underwear is made of fabrics specifically engineered to be supple, breathable and most importantly, COMFORTABLE! Our underwear is on the form-fitting side, but it really all depends on how you like to wear your underwear. The goal is to accentuate your body's natural form, all the while keeping your assets lifted, supported and comfortably in place. If you're looking for a little more room, choose a larger size, if you like a tighter fit with more support, go for a smaller size. 6.1 What does it take to become a PUMP! model? PUMP! models have one thing in common...they all have the "IT" factor. You know, that intangible quality that sets someone apart? It's not just about looking good, its about the kind of energy you bring to a photo shoot. We look for outgoing men with strong features and qualities that transcend the camera lens. Does that sound like you or someone you know? Fill out our "Model Request" form and see if you have what it takes! 6.2 How can I become a PUMP! model? Please note that it can take time to respond as we solely scout for models at distinct and minimal periods of the year. Thank you and best of luck! 6.3 Do I need professional experience to become a PUMP! model? We do not require applicants to have any modelling experience and we have used both models from agencies and as well as those we discovered on our own. 7.1 How can I sell PUMP! in my store? If you are interested in carrying PUMP! in your store, please fill out our wholesale request and application form. All submissions are reviewed and evaluated in a timely manner. 7.2 Why do I see all items out of stock? This could be because you logged into a wholesale store when your account is not authorized for wholesale. If you return to the US or default store, you will be able to see products in inventory. If you ARE a wholesale customer and still see everything out of stock, then the site is detecting cookies from your browser of another user with a login that has recently logged in and is not approved for wholesale. Having both these user identities causes the site to not recognize your account as wholesale. Clearing your cookies and cache will fix this, then be sure to login with your wholesale account. Switching to another web browser you haven't used in a while could also solve this issue. 7.3 What are your Product Codes?